Hall & Wilcox will have six offices in the country after the opening of its Brisbane offices with key hires from DLA Piper. The firm’s Brisbane base will open early next month with the appointment of partners Drew Castley and Paul Baxter, special counsel Sean Sullivan and team. The new office expands the insurance and financial services specialist to six major cities in the country. The firm currently operates offices in Melbourne, Sydney, Newcastle, Perth and Canberra. “The opening of an office in Brisbane is part of our firm strategy of servicing our clients nationally, particularly in the insurance and financial services sector,” Tony Macvean said. “Drew, Paul and Sean’s practices and client base greatly complement our existing practices and client base and provides a strong base for us to build a broader commercial offering in the Brisbane market,” Added the Hall & Wilcox managing partner. Castley has over 20 years’ experience as an insurance and commercial litigation lawyer, specialising in insurance claims particularly the defence of professional negligence claims and medical malpractice. Castley, who advises on risk management for professional service firms, has a commercial dispute practice that includes shareholder, partnership and joint venture disputes. Meanwhile, Baxter’s practice is focused on personal injury and property liability claims under common law and statutory schemes as well as marine and transport industry litigation. 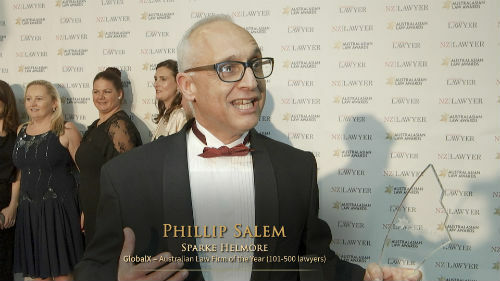 He also specialises in indemnity disputes, fraud claims, statutory prosecution defence and recoveries. With over 24 years’ experience, Sullivan is an expert in employment litigation, including bullying, discrimination and sexual harassment claims, contesting employment rights and protected industrial action, and defending occupational health & safety prosecutions and workers compensation common law claims. He also acts on behalf of insurers in public liability and CTP litigation.